An excerpt from a new report by Electronic Entertainment Design and Research breaks down the reasons why 49 percent of gamers don't buy downloadable add-ons. 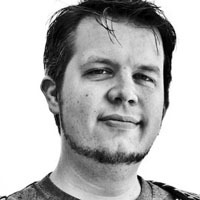 EEDAR expects DLC revenue to surpass $1 billion in 2012. Concerns over the security of their personal data are the overwhelming factor that keeps console gamers from purchasing downloadable content on their Xbox 360s and PlayStation 3s, according to a report released today. 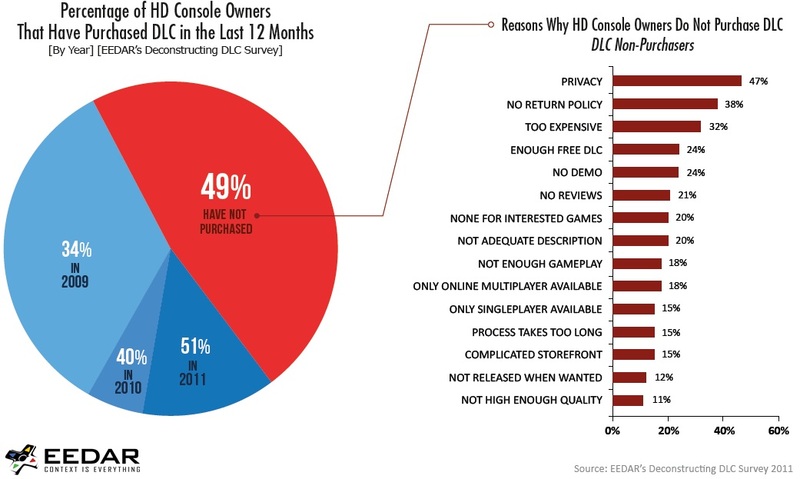 In the company’s annual “Deconstructing Downloadable Content” report released on Wednesday, Electronic Entertainment Design and Research released the results of an extensive survey of high-definition console owners’ behavior when it comes to purchasing downloadable add-on content like extra characters and levels for their games. EEDAR estimates that 20 million North American gamers, roughly half the Xbox and PlayStation market, have purchased DLC in the last year. The segment is growing rapidly; in 2009, EEDAR estimated that only 34 percent of gamers bought downloadable content. It expects that DLC will generate $1 billion in revenue in the U.S. alone during 2012. Of the half of gamers that refrain from buying DLC, EEDAR said in its report that many are concerned about privacy. Gamers’ other major concerns were that they felt the DLC was too expensive and too risky, since it would be impossible to return it if they were dissatisfied. “EEDAR believes that for the DLC market to continue to grow in 2012, publishers, developers, and the console manufacturers must continue to address these concerns, collectively,” the report concluded.